How do I get my Linkedin Widget ID? 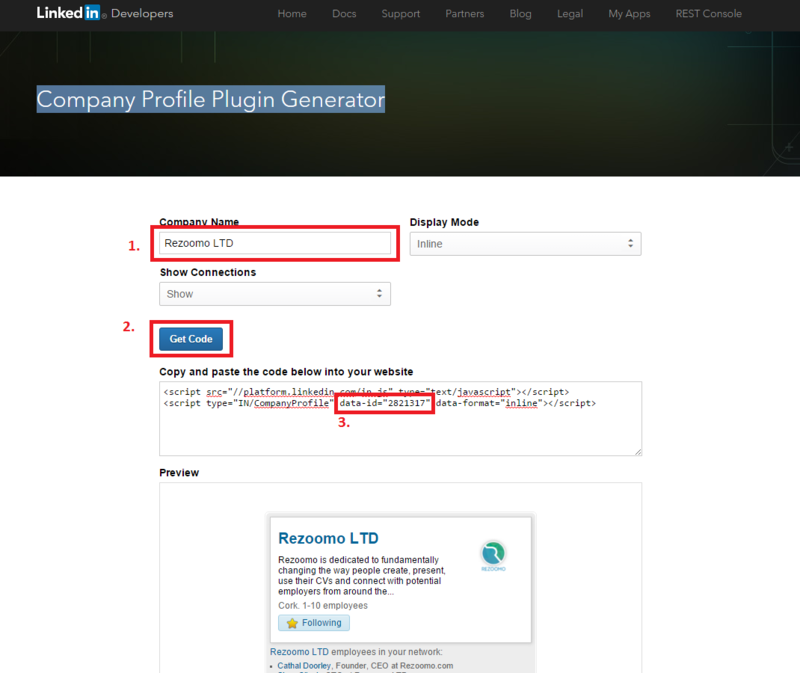 Firstly, go to https://developer.linkedin.com/plugins/company-profile. Then follow the steps outlined below. 3. The number you want is just after 'data-id'. Just copy this number, and paste it into the Linkedin Widget ID field in your edit Company Profile page.